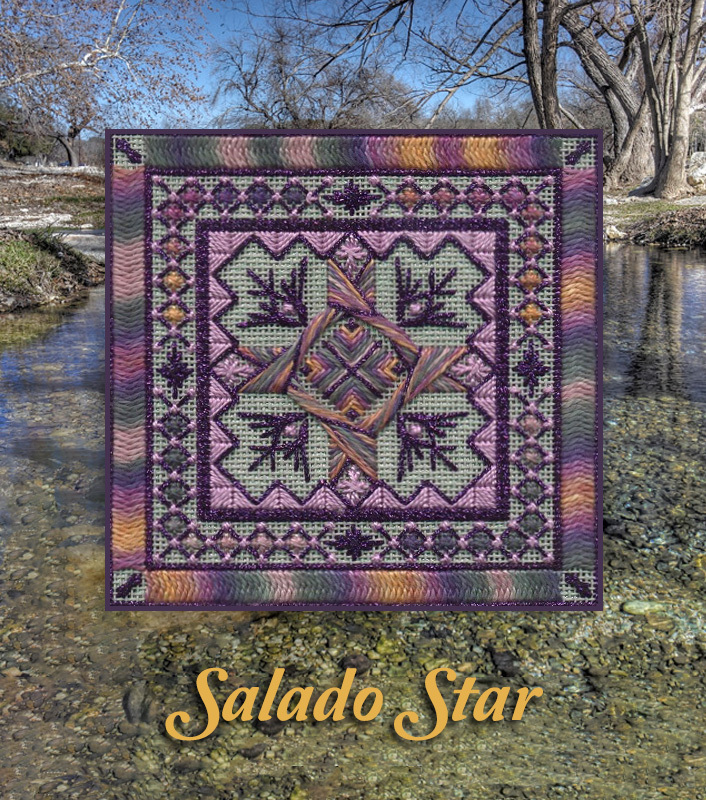 Salado Star is a two-in-one pattern. Stitch the whole design and it makes a lovely box top. Stitch just the center square for a fast, easy scissor fob or ornament. Worked in Waterolours, ribbon and Kreinik metallic on 18-mono canvas in a choice of colors – or pick your own!